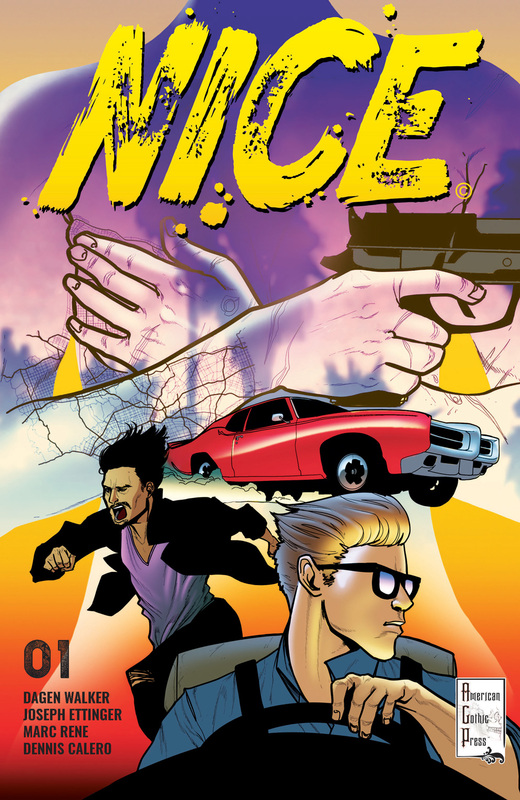 It’s #NewComicBookDay, and NICE has officially arrived! 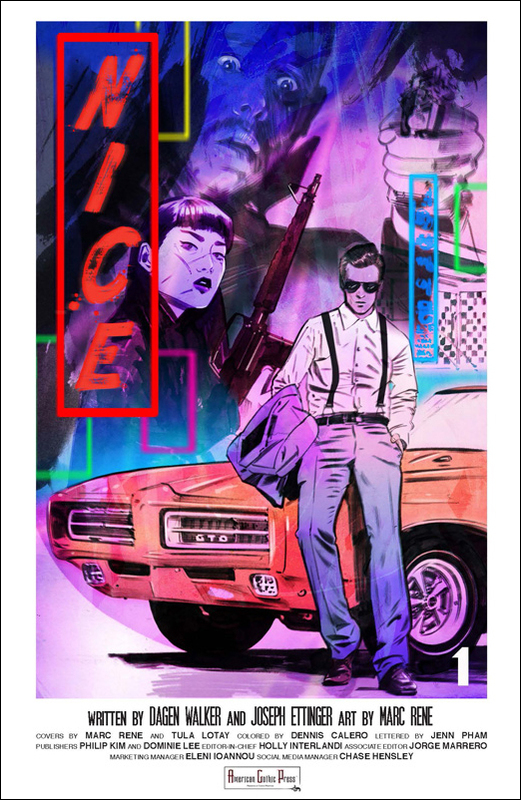 Dagen Walker and Joseph Ettinger’s NICE #1 is your introduction to a hipster noir world curated to fit into the weirdest parts of Los Angeles, where violence and humor hold sarcastic hands. It’s also the debut of our special collaboration with Echo Lake Entertainment, who are coincidentally celebrating their 20th anniversary in the film business this year. NICE boasts interior art by the incredible Marc Rene, colors by Dennis Calero, and letters by Jenn Pham. Check out the two available covers below!